Most of the lights inside Harrisburg city hall have been left on nonstop for 20 years, city officials said Tuesday night, wasting thousands of dollars in electricity, bulb replacement and maintenance hours. If you've driven by the Harrisburg city government center late at night, you may have seen the lights on in the mayor's second-floor office. Question: How can I improve the energy efficiency of my facility's lighting system? The suggested operations and maintenance ("O&M") improvements and facility improvement measures ("FIM") will vary based on your facility's unique mix of inefficiencies, but what follows are some general guidelines. Many small municipalities across the country are facing a challenging dilemma – they have aged street lights, and the high utility and maintenance costs that come with them, but no funding to upgrade to high-efficiency LED street lights. But what if the electricity and maintenance costs were guaranteed, with savings that exceed the monthly cost, thereby making the project possible with no out-of-pocket costs? What if, in addition to replacing outdated high-pressure sodium (HPS)lighting units with LED, you could add advanced program and dimming controls, GIS mapping and other advanced features? This is where energy performance contracts (EPC) come into play. Despite a willingness to adopt more efficient technologies, many food processing plants, dairies and pharmaceutical manufacturing facilities have been hamstrung by the need for light sources that emit longer wavelengths. That’s because short wavelengths cause light-oxidized flavor defects. Photooxidation is a problem at wavelengths of light below 500nm. Certain foods, such as dairy products, beer and chocolate, are most at risk of photooxidation, because exposure to short wavelengths of light changes the products’ flavor and reduces their shelf life. In a study in Pennsylvania, for example, almost half of 449 samples of milk in translucent plastic jugs were reported to have developed pronounced light-induced off-flavors within 36 hours. The same photooxidation process can also reduce the shelf life of many pharmaceuticals. Up until now, facilities producing these kinds of products couldn’t take advantage of ultra-efficient LED lighting technology without risking damage to the products they produced. But innovation is tenacious, especially when born of necessity. The Pennsylvania Public Utilities Commission is serious about saving energy and soon, inefficient cities, towns and burroughs could be paying a lot more to light their streets, highways, bridges and parks. 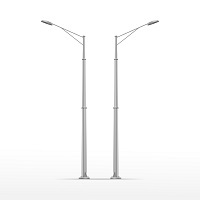 On March 31, 2014, a proposed street lighting rate increase was announced, which could substantially impact inefficient Pennsylvania municipalities. Warehouses represent about 16 percent of commercial building space nationwide, and therefore represent a significant source of potential savings. As of 2011, according to a report published by the Illinois smart energy design center, lighting accounted for 41 percent of the total energy costs for warehouses. Integrating daylighting and choosing efficient lamps, fixtures and controls can both save money and improve working conditions. Here are four of the best lighting strategies that work particularly well for warehouses.